Class size is limited to twelve (12) or fewer students per session. Reservations for enrollment are accepted any time prior to the first day of class, provided there are openings available. It is strongly recommended that students register early, to ensure placement within a particular class, and to reserve local housing prior to arrival. To aid us in scheduling, we offer a discount of $100.00 off of the application fee for those students registering at least six (6) weeks in advance (for our 8 week program only). To register, please complete our enrollment application (you may print the application from the website), and send it, along with a non-refundable Enrollment Fee of $600.00 ($500.00 for those who register at least 6 weeks early (for our 8 week program only), to our address. This Enrollment Fee will be applied towards your total tuition cost, and ensures your spot within the class of your choosing. The balance of your tuition will be due on or before the first day of class. Specimen and Form fees are due within one week of the date the bill is received by the student. 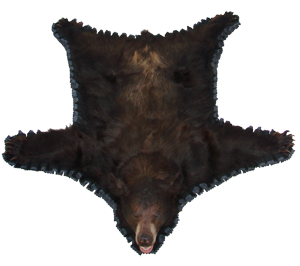 Any student owing specimen tuition beyond that time will be dismissed unless other arrangements have been previously made and subsequently approved by Arizona Taxidermy Training, LLC. Certificates of completion will not be issued to students with outstanding account balances until they are paid in full. Should a refund be necessary, it will be issued based on being pro-rated in accordance with the date of termination. The date of termination will be deemed the date in which Arizona Taxidermy Training, LLC receives written notice of the student’s intent to leave. 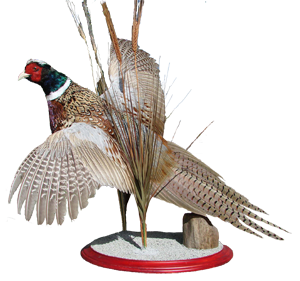 In no case will Arizona Taxidermy Training, LLC retain any less than the original $600.00 Enrollment Fee. There will be no refund for students completing 50% or more of their taxidermy training. Family contact information in case of emergency. Information regarding existing medical conditions or problems. Written proof of having a tetanus shot within the last 5 years. These shots can be obtained at your personal doctor’s office or your County Health Department. If need be, the shot can be administered here at the local clinic, with the student covering the cost for such. Lastly, if you are “color blind” or do not have normal color vision, we need to know this in advance. You will not be turned away due to color vision issues. Your total learning experience is dependent upon your perfect attendance. Attendance is taken each day of class, with tardiness and absenteeism being recorded. Medical, emergency, and other absences must be submitted in writing by the student to AZTT to be excused. Failure to notify AZTT prior to unexcused tardiness or absences can result in dismissal. Three consecutive absent days or five total unexcused absences can result in dismissal of the student. No refund of tuition money will be returned to any student dismissed due to his / her classroom attendance failures. There will be no refund of any tuition money returned to the student who is dismissed for failing to comply with the rules and regulations as outlined above.